Boston: Beacon Press, 1983, hardcover; paper, North Atlantic Books, 1992. The book outlines a plan for reclaiming unity among our body movements, senses, and thought processes. It describes how we are pressured to mold ourselves to fit others’ needs by attitudes fostered in religions, schools, the workplace, and the military. It gives special attention to how gender ideals shape us. Interweaving personal experiences, anatomical analyses, and the stories of men and women from various walks of life, the book explores how the mind/body split, concretized in our social institutions, coaxes us to distrust what our own senses tell us. In marked contrast to the individualistic aura of books in a similar vein, this book argues that individual awareness alone is not enough to correct the social scars left by mind-body dualisms. Real change can only come about when we join together to alter the shapes of our social body: schools, churches, political organizations, businesses, and health-care practices. 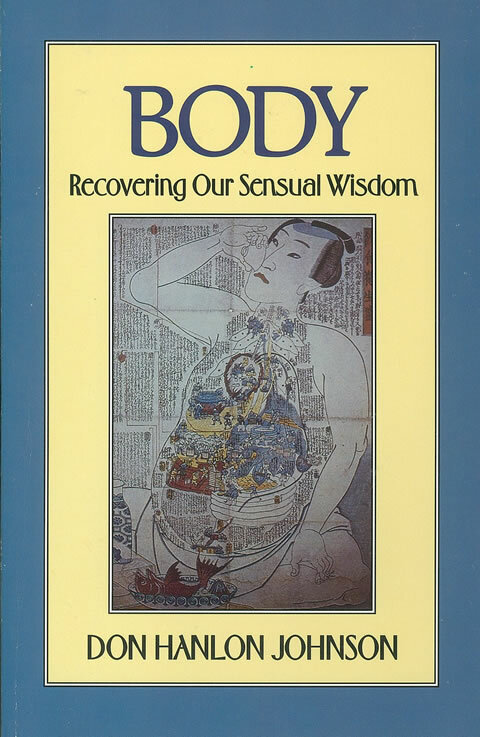 Throughout the book, there are practical yet sensitive exercises offered for bringing about a reunion of abstract ideas and flesh, a recovery of our forgetten genius embedded in the cells of our bodies. “In The Case of Nora, Feldenkrais describes in some detail how he works with people…: I tried to identify myself with my patient. What was she actually doing when she intended to read? Where did she intend or expect to read? Did she intend to read the first word of the page, and then fail to direct her gaze, allowing herself to look far into the distance, as though looking at infinity, her eyes not converging at all? Did she see the words she said with her better eye or with both? How on earth was I going to find out?